Our darkest blend with a hint of roaster smoke. I first discovered Woodshed Roasting co. at the Deerfield fair about 2 years a go or so at the exposition building . 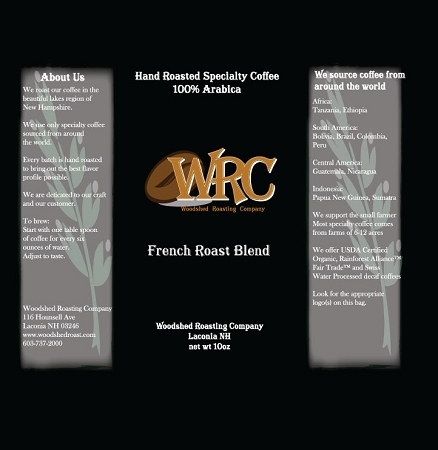 I have always like a good French Roast so I tried a cup that day and ended up buying a pound. Over that period of time I tried to find a store that carried Whole Bean French Roast to no avail and finally found the site. This is a very good bold bean. Excellent flavor. I will be ordering on a continual basis.